Features warm cream, gold and brown tones in harmony with cool grays and blues. 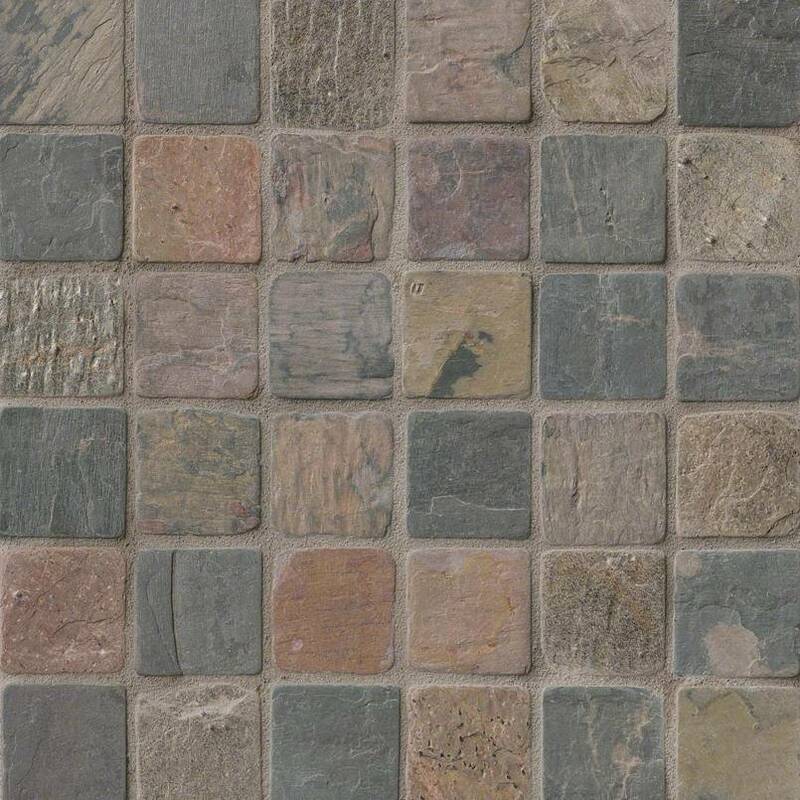 Mixed Slate and Quartzite 2x2 Tumbled Mosaic Sheets beautifully combine warm cream, gold and brown tones in harmony with cool grays and blues. Mesh-backed for easy installation, these tiles are recommended for a variety of design projects including floors,kitchen and bath backsplashes, shower and bathtub surrounds, and accent walls.